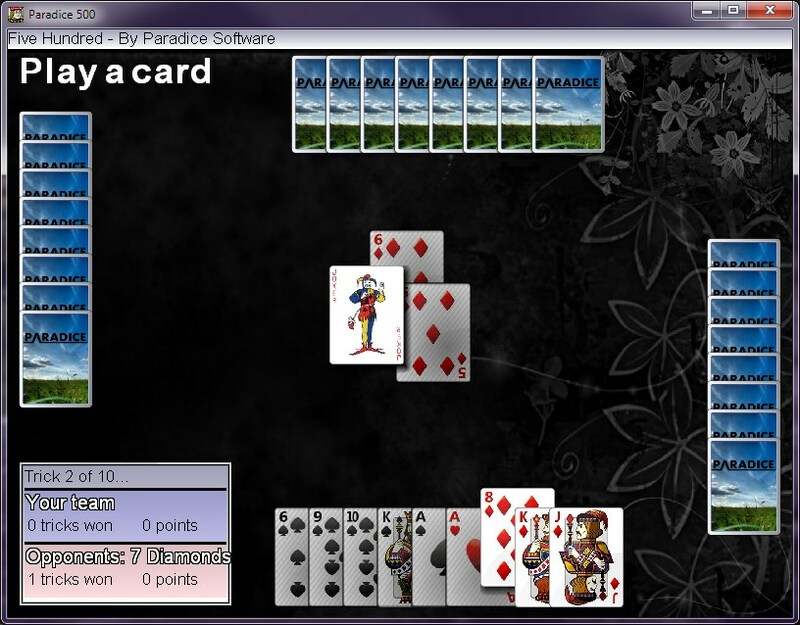 A modern, customizable, single and multiplayer version of the card game “Five Hundred” (also sometimes called “500″). Current Version: 1.20, released 25th Jan 2015. 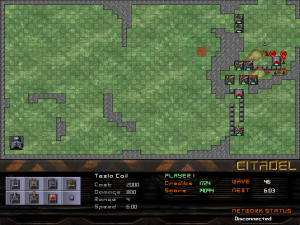 Citadel is a ‘tower-defense’ game. For those unfamiliar with the concept, essentially an endless wave of bad guys (in this case, tanks, jets, armoured cars, and trikes) try to get to and destroy your tower. Your job is to build a system of defensive towers to prevent them from doing that. The towers themselves automatically aim and fire, the strategy lies in placing the right towers and walls in the right places to do as much damage to the invaders as possible. 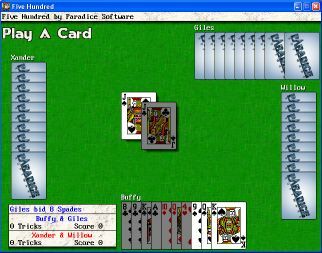 The card game Five Hundred, for Windows (uses DirectX 7). The classic game with the Joker, Left and Right Bows, and bidding. Single-player (with partner and opponents computer controlled). 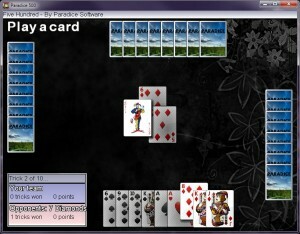 You are able to use your own graphics for the card-backs and tables. Customisable player names. Note: this game *does not work properly* on modern systems (XP, Vista, Win7, Win8 etc). Download the newer Five Hundred game above instead! Identifies internet connectivity: sits in the notification area and continually attempts to ping a specific website (such as Google.com), plays an audio tone on disconnect/reconnect. Full FPC source code included.